Whether you’re playing Pokémon Go, texting, sending an email, or just checking out fantasy baseball scores. In some cases, this leads to dire consequences. Design firm Büro North created a concept to help avoid these kinds of new-age accidents — a street tile that alerts phone users when they’re approaching danger. 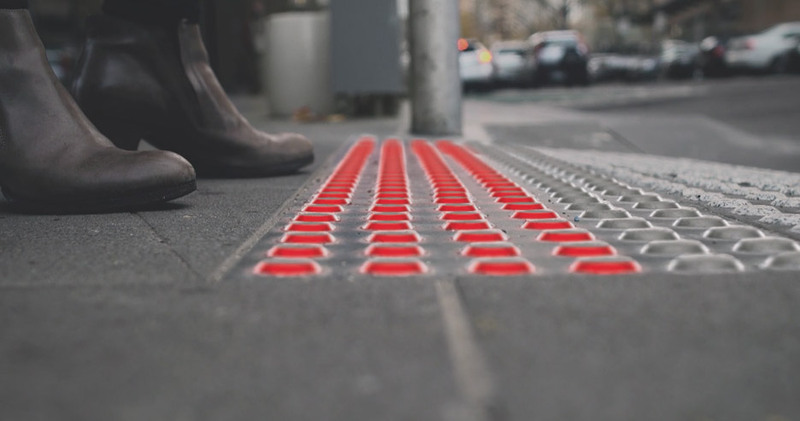 Smart Tactile Paving, a concept that would alert walkers — much like a street light — when they’re nearing traffic with the standard red, yellow, green system. The only difference is, this alert will be placed at your feet within easy viewing distance for those with their heads down. It’s designed to be easy to see out of your periphery for those that just can’t be bothered to look up before crossing the road. While it’s true that the infrastructure is already in place for most of these projects (they’d use the same power and ground as the traffic lights above them), you have to wonder if the easier solution isn’t just to avoid using your phone while you’re wandering around the city. For now, this is just a concept. But Büro North isn’t the first to try and solve this problem with smart design. City officials in Augsburg, a German municipality outside of Munich, installed similar lights at tram crossings earlier this year.